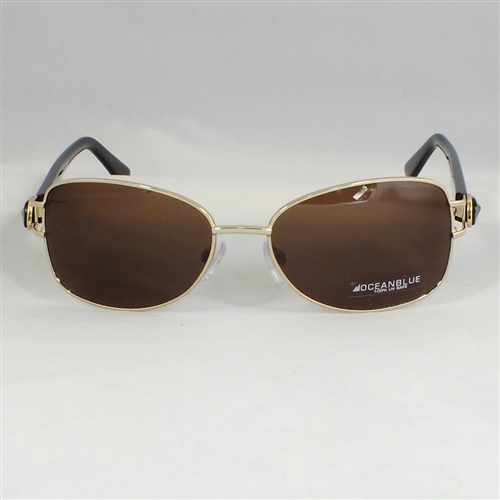 Ladies quality metal designer Ocean Blue sunglasses in gold and black with classic style. 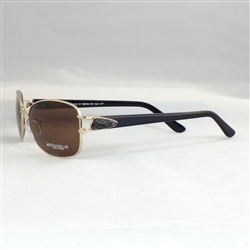 Supplied with either plano non-prescription lenses as depicted or with standard prescription distance, reading or intermediate lenses. Tint and UV coating supplied as standard. Current tint is Brown.